My first Ultra was Glen Ogle, as it seems to be for many, that was back in 2015. I did the Fling in 2016 & 2017, and then the Great Glen in 2017 & 2018. Much as I still enjoy the shorter ultras, it was the longer ones that were really giving me the buzz and amazing sense of achievement. When I first did the Fling as a relay in 2015, doing the whole thing was something I never thought would be within the realms of possibility for me, because only elite atheletes can do that sort of thing…..right? Wrong! After meeting many of the runners doing the entire Fling and seeing the way it all worked and the camaraderie I realised this was exactly the sort of thing I should be doing so I signed up for Glen Ogle and started training. I realised the only reason I had assumed I could not do things like this is because it is not a normal thing for normal people to do and most people assume they could not run a marathon, let alone a double or triple marathon through the hills. 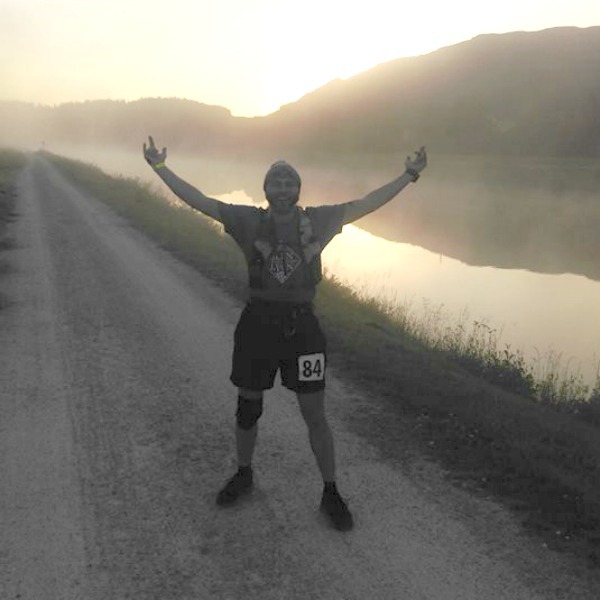 Each time I have upped my distance (Balmoral 10k, Balmoral 15 miles, Lairig Ghru – Glen Ogle – The Fling – The Great Glen) and done another previously “impossible” distance the feeling of accomplishment completing the race whilst still smiling (at least on the outside!) has left a glow that lasts for some days if not weeks. So with this in mind, this should explain why I want to now attempt the WHW race. My idea of a successful race is to finish smiling and not broken I have a couple of ideas of times I would like to finish in, but as for any first time doing a race of this distance the whole thing is really a recce for next time!